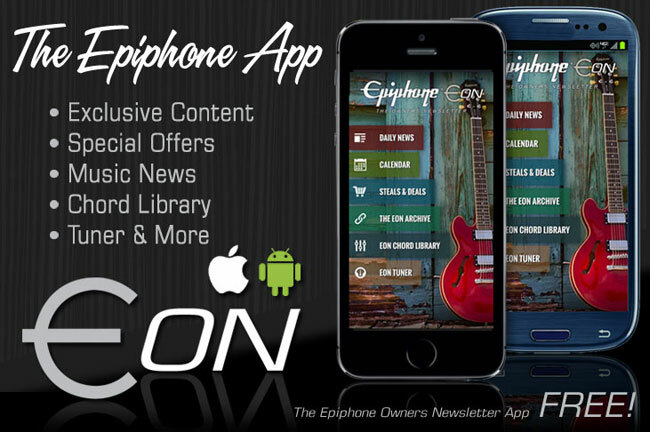 Epiphone, the premier name for affordable professional instruments, presents the new FREE Epiphone Owners Newsletter App, or EON, the first official App designed especially for new and longtime owners of Epiphone Instruments. 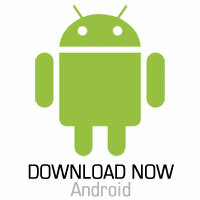 The App is free to fans that own Android and IOS devices. 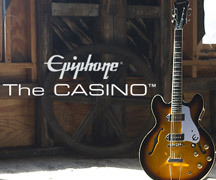 EON owners will receive daily updates of Epiphone artist news, exclusive interviews, product demonstration videos, product updates, and special offers and giveaways, as well as tips and techniques for acoustic and electric guitar and bass players. "The EON App is a new and exciting way to unite our fans both young and old from around the world," said Epiphone President Jim Rosenberg. "We wanted to make an App that would not only be the premier source for Epiphone news and information, but would also be a useful tool and companion for our players on the road, at rehearsals or gigs, or just practicing at home." 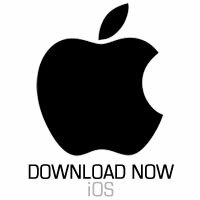 The free EON App, which downloads easily to all Android and IOS devices, will feature breaking news on Epiphone artists, in-depth interviews, and full product info from across the expansive line of Epiphone instruments. 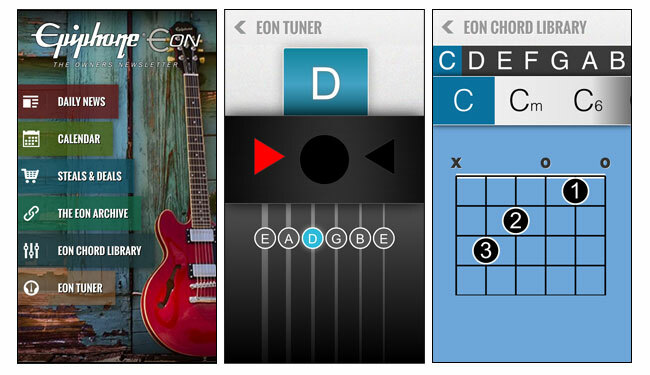 The EON App also includes a chord library and an easy-to-use guitar tuner for both standard and open tunings. 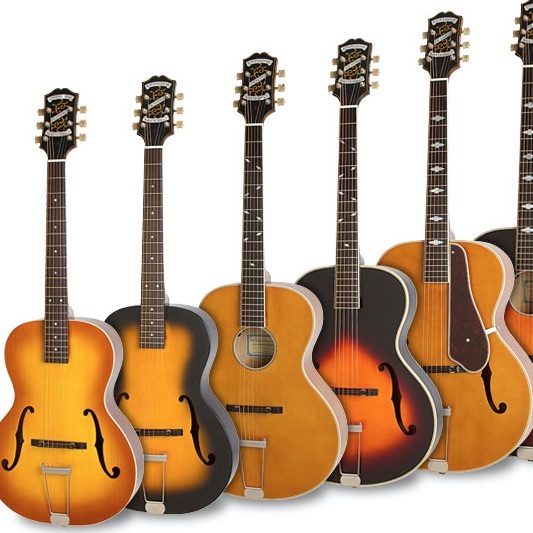 Using the free EON App, Epiphone fans can view profiles of Epiphone artists, read an expanded history of Epiphone with vintage instrument photos and classic catalogs excerpts, and get daily updates including artist tour dates, instrument reviews, and demos. The EON App was designed and created by In Tune Partners, publishers of music education magazine In Tune Monthly, and in association with technology provider Degenet.